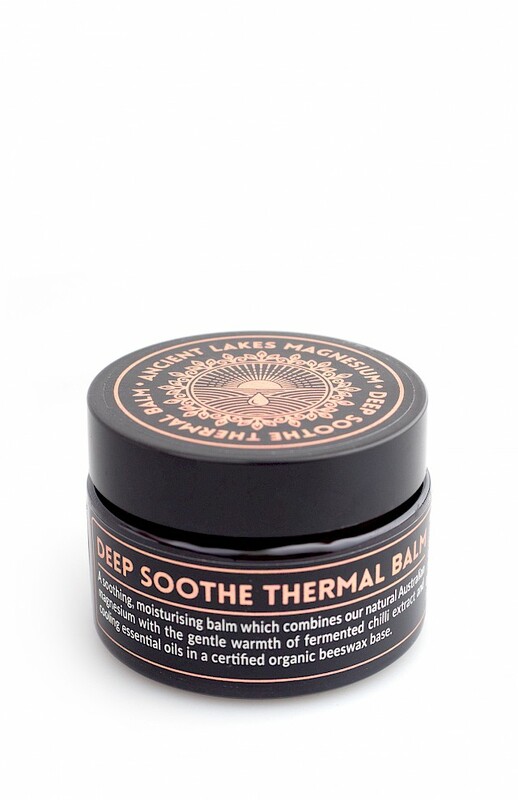 An aromatic, 100% natural heating and cooling muscle rub with organic magnesium, fermented chilli extract and essential oils. This soothing, moisturising balm combines our natural Lake Deborah Sanctuary magnesium in a certified organic Australian beeswax base. Fermented chilli extract (Capsaicin frutescens) provides soothing, gentle warmth; while essential oils of camphor, menthol, eucalyptus, and wintergreen cool your skin for a totally invigorating experience. Directions for use: Apply a small amount to target area and massage in. Wash hands after use. Recommended for adult use only. Menthol, Eucalyptus Globulus (eucalyptus) oil, Butyrospermum Parkii (shea) butter, Theobrama Cacao (cocoa) butter, Lavandula Angustifolia (lavender) oil, Sorbitan Olivate (vegetable origin), Gaultheria Procumbens (wintergreen) oil, Hydrogenated Castor Oil (vegetable origin), Leuconostoc/Radish Root Ferment Filtrate. Caution: test on a small area of skin before full use. For external use only. Avoid direct contact with eyes and mucous membranes. Do not apply to wounds, damaged or irritated skin. If skin becomes irritated, discontinue use and consult a doctor. Do not bandage or use with a heating pad. Do not apply directly after showering. An ideal option for those who experience benefits from the topical application of magnesium. Natural magnesium deodorant. The antimicrobial properties of concentrated liquid magnesium help to control odour. Aluminium-free and bicarb-free.